“By failing to prepare, you are preparing to fail”. A term not commonly associated with surface preparation, but one that neatly summarises its importance. Surface preparation is critical to the success of an application, particularly in terms of concrete preparation. When applying any Belzona materials to a concrete surface, there are three key points that must be met. Without adhering to these recommendations, the likelihood of achieving a successful application is diminished, leading to application failure and vulnerabilities such as holidays. 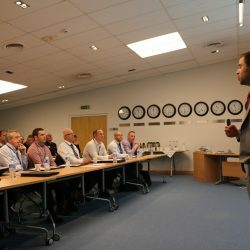 This post will continue to explore the importance of the concrete preparation, the methods available to applicators and how the recognised standard can be achieved. 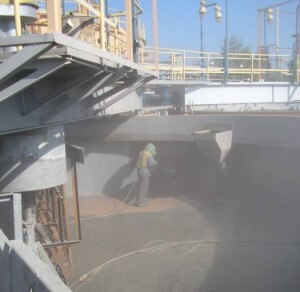 Whether it is ingrained dirt, organic growth, or industrial contamination, cleaning the surface of the concrete is vital to ensure an uncontaminated substrate before any application. Common to Belzona concrete preparation, is removing oil, grease or dirt from the specific application area. Often treated with detergent, trisodium phosphate or various proprietary concrete cleaners, these materials should be followed by vigorous scrubbing and thorough rinsing with water to remove all residues. 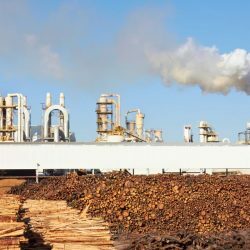 High-pressure water cleaning or water-jetting methods, as described in SSPC-SP12/NACE NO.5 ASTM D4263, can also be used to a similar effect. 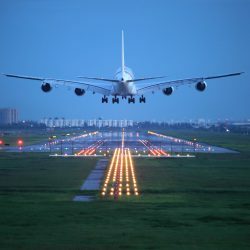 This method consists of directing a high-velocity, high-pressure water jet to the concrete surface, sweeping back and forth across the concrete surface as the equipment advances incrementally. A common misconception when cleaning concrete concerns its pH balance. 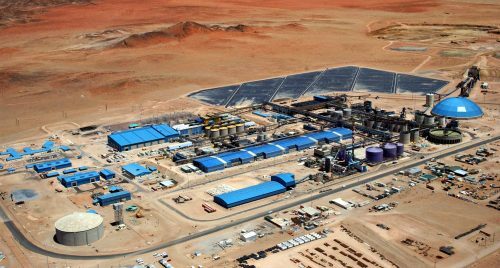 Notably, alkaline solutions are often used to increase the pH levels of the substrate and then halted after achieving a neutral level. In actual fact, the normal pH range of concrete is closer to 13-14; therefore a neutral reading would indicate a vast amount of residual contamination. Chemically contaminated concrete must be cleaned thoroughly, several times before beginning an application, until a minimum of pH 10 is achieved. Naturally, concrete is a very porous material, therefore removing the excess moisture is essential to eliminate the chances of application failure. 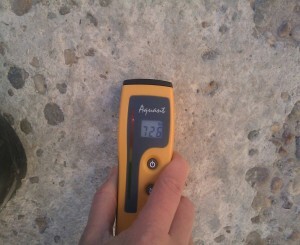 But how do you determine the level of moisture when carrying out concrete preparation? There are a number of tools and techniques designed to help you find out the level of moisture present within the concrete surface. These range in accuracy and cost, so it is important to choose the most suitable test, even if this requires a combination. The simplest methods available are often just indicative, qualitative tests that highlight the presence of moisture during concrete preparation, rather than the amount. 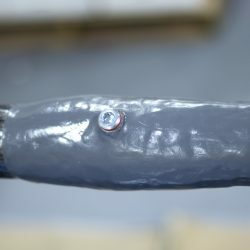 Notably, the Plastic Sheet Test is one of the easiest to complete, which involves securely attaching an approximately 18in2 (0.01m2) plastic sheet to the concrete for 24 hours. 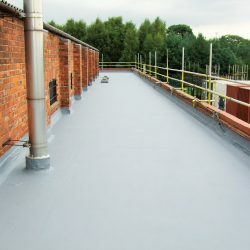 Upon inspection, there should be no traces of moisture between the concrete and plastic sheeting, yet if the surface is darkened then the concrete can be considered too wet for coating. 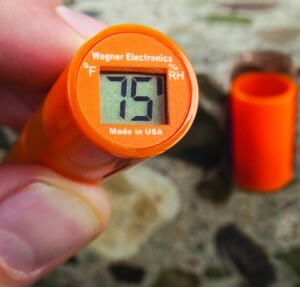 In addition, there is the moisture meter, which uses electrodes to penetrate the concrete. These types of electronic moisture meters also have drawbacks, as they merely measure the moisture presence in the surface of the concrete. Realistically, the overall reading could be much higher just a few inches under the surface! Following these indicative tests, a quantitative method is required to accurately determine the moisture content of the concrete. One such test uses anhydrous calcium chloride. In principle, this uses a known weight of desiccant to absorb moisture vapour exiting the surface of the concrete. The desiccant’s change in weight from the beginning to the end of the test is a measure of the amount of water vapour passing through the concrete. This gain in weight of the desiccant can be converted into an equivalent evaporation rate over 1000ft2 (93m2) of concrete in a 24 hour period. Subsequently, this conversion will highlight in pounds weight of water, the moisture content of the concrete; the target for which is below 3lbs per 1000ft2 (1.36kg per 93m2). Ultimately, a Relative Humidity probe is the final method with which Belzona specify testing moisture content when conducting concrete preparation. 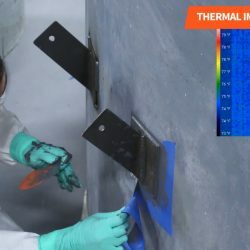 This method provides the most accurate assessment in terms of relative humidity, by dropping small electronic probes into drilled holes in the concrete. They are then left to equilibrate and following the recommended equilibration time, the probe can be read either directly, or with a specially made reader. This should reach a target relative humidity reading of 75%. 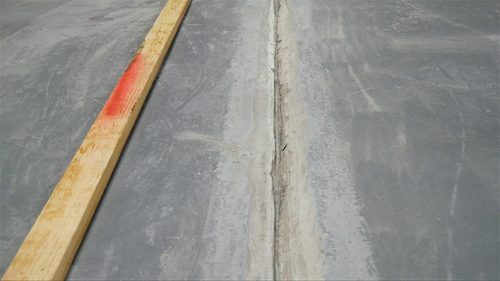 As highlighted, the key positive of this method is that it provides a very accurate measurement of the concrete’s moisture content, at the recommended 40% depth of the concrete slab thickness. However, unfortunately the negative of this method is that the probes are left entombed in the concrete. Once you have chosen the method and completed the tests, you should have a result that will allow you to move forward onto the next stage. The following procedure will either involve continuing with the appropriate concrete preparation or require moisture level reduction. Age of the concrete – determines whether it is necessary to remove the laitance, commonly found on newly formed surfaces. 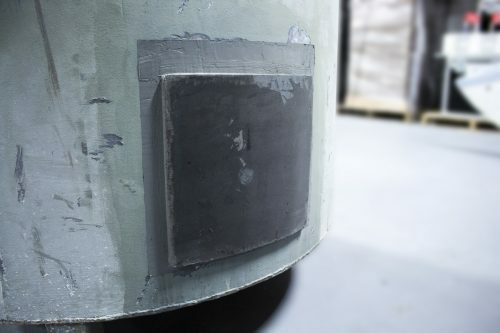 The concrete’s density – for example, rotary equipment is usually used on low compressive strength concrete substrates, yet is not effective on hard dense concrete, which they are likely to polish rather than abrade. Under rotary equipment selection, there are various scarifiers and scabblers that can be used to attain the desired substrate. Utilising interchangeable cutters, scarifiers apply a rotating circular cutting wheel to the concrete surface; however, the depth of cut can be more precisely controlled using a scabbler. Both devices are noisy, produce vibrations and generate a great deal of dust, although the former can be controlled by using a dust collector attachment. These machines are effective on old floors, and will successfully remove old paint or curing compounds, but are relatively expensive, heavy, and require skilled operators. Conversely, impact devices such as centrifugal shot blasting, in addition to dry, wet and vacuum-assisted abrasive blasting, may be used. These can remove contaminants, laitance, and weak concrete, in order to expose subsurface voids and produce a concrete surface with adequate profile and surface porosity. The significance of the three main points of concrete preparation, before applying a coating, must be reiterated. Obtaining a dry, clean and firm surface is the only way of gaining the optimum bond to your concrete substrate. Every year Belzona will hear of some form of disbondment and 99% of these are usually result from non-existent or partially completed surface preparation. Therefore it is vitally important to take the time and effort to prepare the area before undertaking any application. In need of concrete maintenance? View Belzona’s range of concrete protection solutions. Contact us to discuss your maintenance requirements in more detail. Michael Harrison: Technical Service Engineer at Belzona since June 2015. Drying the surface before laying concrete sounds like a good idea. It would be best to remove excess moisture to allow the porous concrete to be successfully applied. My uncle says that it is possible to use freshly mixed concrete or to remix an older mix of concrete depending on what your project is.